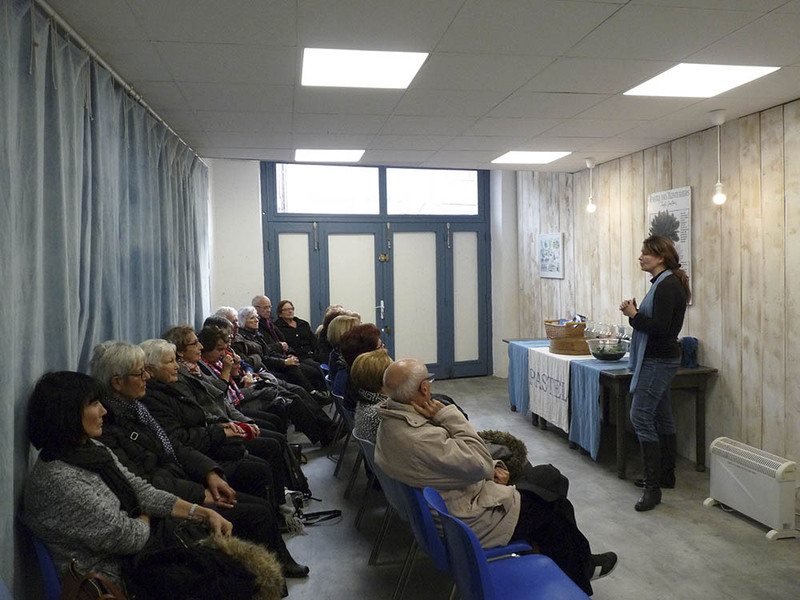 “Bleu de Lectoure” proposes to all groups or persons wishing to know more about the history of pastel, the dyeing, our working methods, to take part in a visit in the form of a conference. You will learn and discover the process of extraction and manufacture, as well as our natural way of dyeing the textile, with passionate people who showcase the Isatis Tinctoria (pastel) for more than 20 years. Visits are available only on reservation, from Monday to Saturday, and take place every afternoon (2:30 pm, 3:30 pm, 4:30 pm). We request a contribution of only 2 € per person. To participate and reserve your places, just contact us by phone at (+33) 05.62.28.14.93 or by mail via the contact form available on the website. Do not hesitate to ask us for any information you may have on your visit that you consider useful (conditions of reception of groups, accommodation in the commune of Lectoure, other ancillary activities …). Looking forward to welcoming you very soon! You also see life in blue!